AMC/Sundance "Breaking Bad" GraffitiWall: "Better Ask Saul"
Using Sneetches imagery along with Seussian sound effects, multiple visitors via four touch screen monitors, collaboratively built multimedia storybooks. At any point they could invite others outside the museum to continue the collaborative process via social media. CMOM/National Institute of Health: EatSleepPlay GraffitiWall® and CMOM partnered to create two software applications that played crucial roles in the museum’s national health initiative to combat childhood obesity. The National Institutes of Health and the New York City Department of Health and Mental Hygiene were also involved in this national initiative. These platforms were designed to help children and their families connect within a community, within the museum, and from home, while using immersive multiplayer games to encourage healthy lifestyle choices. The Family Health Clubhouse used the GraffitiWall engine to bring the museum’s exhibition into the home with an online community—a more dynamic, visually stimulating, family-oriented alternative to Facebook. The GraffitiWall-powered Choices Change YOUR World!™ let up to three children play the multiplayer game at once, using touch-screen panels. Sound, movement, and depth created a digital world that enveloped the children. They earned points, stars, and other rewards as they made choices that promoted their personal health. At the same time, they encouraged each other to make healthy choices that improved and beautified the virtual environment. 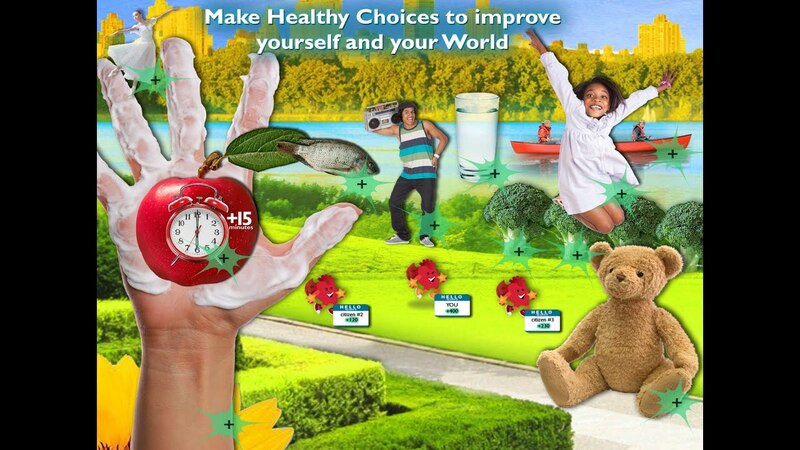 Each time a child visited the exhibition and logged into the game, they had the opportunity to increase their cumulative personal score and build on their knowledge of healthy lifestyles. GraffitiWall® software includes diagnostic tools that enable CMOM to learn about their audience’s needs and preferences, both as Museum visitors and as at-home website users. Its administrative tools enable CMOM to personalize the experience for its audience. A Second Screen TV Multiplatform Experience: GraffitiWall was used as a second screen experience for AMC/Sundance Channel Global’s most popular show, Breaking Bad. The Breaking Bad GraffitiWall encouraged tune in because it captured the tone of the show, and provided fans with an outlet to role-play their favorite Breaking Bad personas. While watching the show, fans “dressed” as their favorite characters in the form of interactive avatars, and inhabited virtual replicas of the show. While in character, fans discussed the episode as the story unfolded. Beyond the show’s airtime, fans returned to see this show-within-a-show as well as add to its running conversation. They also played with the “Better Ask Saul” legal advice game, which plays off the popular Saul Goodman attorney character. Results - Increased Audience Share! : In two weeks the Breaking Bad GraffitiWall had more members than AMC/Sundance Channel Global’s Twitter account. And in one month, the user-base was larger than AMC/Sundance’s subscriber-base. In addition, the Breaking Bad GraffitiWall helped grow the show’s overall Facebook “Likes” 30% in only two months, and screen grabs of its GraffitiWall garnered more “likes” than photos taken from the show. Hunter Sabia joined the GraffitiWall team in 2013 as the social media manager. She helped launch the online Breaking Bad interactive experience, which included the “Better Ask Saul” game. She designed all digital communications, which included sitelets on Facebook, Tumblr, Twitter, Pinterest, Google Plus to promote current projects, as well as writing press releases for the launches of GraffitiWall Liberty and its mobile app, AvatarMaker~Liberty~ the 1776 edition. Previously she worked as a Junior Publicist for Black Liner Productions. She helped create and execute strategies for the Bacon Brothers 2013 tour. Communicating with the client’s customer base via digital and traditional media, including branding, websites, PR and publicity, sponsorships, email, facebook, lead generation through contests and twitter to promote band name were all a part of her duties. This walk-in environment at The National Archives in Washington D.C. invited visitors to step back in time to become a U.S. Constitutional delegate. Their job was thento discuss, vote on principles, and then decide whether to sign the Constitution alongside John Hancock et al. It didn’t occur to many visitors until participating in this interactive environment of the convention that there were controversial issues included within the Constitution. End result: though many added their names, there were others who didn’t feel comfortable doing so. This initiative was so popular that the exhibit was extended for an additional year specifically by the U.S. Congress. James has been working on the leading edge of software development for over 25 years. Early in his career he came up with one of the first screens savers (Harper & Row’s "Fishies") and a Hypertext browser that predated the web. He has led the software development for influential interactive installations such as Sony Wonder, the Chicago Symphony Orchestra’s ECHO Learning Center, Levi’s Union Square Flagship Store and Spotlight Live. Most recently he has developed many mobile applications, taking advantage of the exciting new platforms produced by Apple and Google (Android). Throughout his career James has been an advocate for end users, focusing on creating software that is approachable, fun and intuitive. Linda Gottfried has been developing interactive software for over two decades years. In 2003 she founded Color, Light & Shadow, Inc. (CL&S). While designing software for CL&S, Gottfried was continually reminded that loyal consumers can be a company’s strongest advocates. She also recognized the value of companies embracing their consumers’ love affair with creating online multimedia. She understood that brands need to expand their communication and tracking capabilities to go beyond the written word, since multimedia provides a fuller dimensional conversation between consumer and company. End result, Gottfried built GraffitiWall, a multi-platform multimedia communication and feedback platform. She also trademarked, and copyrighted GraffitiWall®. Gottfried’s credits include innovated products, new-media, and interactive marketing software produced for Aventis Pasteur, Macmillan Publishers, Smithsonian, JetBlue, Dr. Seuss, Pharmacia, Time Warner, Philips NV, Scholastic, Konica, and AOL. Gottfried designed software to launch Apple’s first color Mac, and content to launch “HyperCard,” a precursor to Internet hyperlinks. She helped develop FreeRide Media’s “The Magic Bus,” an online game that rewarded visitor participation and was ranked #2 by The New York Times in 2001 for most time spent and pages visited on any web site. Gottfried has earned numerous awards for publishing and entertainment programs, including the New York International Film Festival for a 3D computer-animated marketing vehicle for Konica, top prize for the category of Public Environments from the New York International Festivals for three museum walk-in interactive spaces, as well as the Japanese International Music Festival for a computer animation based on an ancient Egyptian folktale, which was also highlighted on CBS Nightly News. In 2002, her interactive exhibit, which invited children to virtually step into the shoes of painter, Elizabeth Murray to create Murray-esque masterpieces, at the Children’s Museum of Manhattan (CMOM) was among The New York Times’ best exhibits of the year. In 2011, she partnered with CMOM to create two software applications using the GraffitiWall platform for their EatSleepPlay initiative. These applications play crucial roles in the museum’s national health initiative to combat childhood obesity. The National Institutes of Health and the New York City Department of Health and Mental Hygiene are also involved in this national initiative. These platforms serve to help children and their families connect within a community within the museum and from home while using immersive multiplayer games to encourage healthy lifestyle choices. These are part of the permanent exhibit housed at the museum. 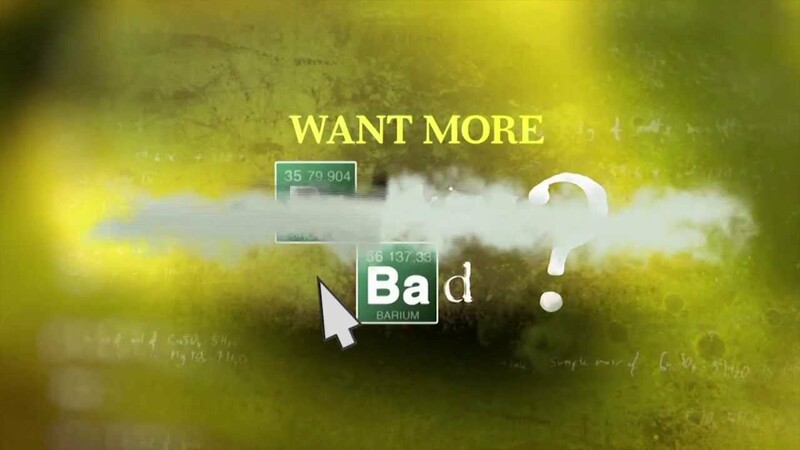 More recently Gottfried developed a Second Screen TV Multiplatform Experience for AMC/Sundance Channel Global’s most popular show, Breaking Bad. The Breaking Bad GraffitiWall encouraged tune in because it captured the tone of the show where fans had an outlet to role play their favorite Breaking Bad personas. While watching the show, fans “dressed” as their favorite characters in the form of interactive avatars and inhabited virtual replicas of the show. While in character, fans discussed the episode as the story unfolded. Beyond the show’s airtime, fans returned to see this show-within-a-show as well as add to its running conversation. They also played with the “Better Ask Saul” legal advice game, which plays off the popular Saul Goodman attorney character. Real Time Breaking Bad Social Media Results Using GraffitiWall: Increased Audience Share! : For example, in two weeks the Breaking Bad GraffitiWall had more members than AMC/Sundance Channel Global’s Twitter account. And in one month, the user-base was larger than AMC/Sundance’s subscriber-base. Also, the Breaking Bad GraffitiWall helped grow the overall Facebook “Likes” 30 percent in only two months and screen grabs of its GraffitiWall garnered more “likes” than photos taken from the show. Patent Portfolio: In 2001 Gottfried began building a patent portfolio consisting of social media tools. Filed initial patents prior to the Facebooks of the world. 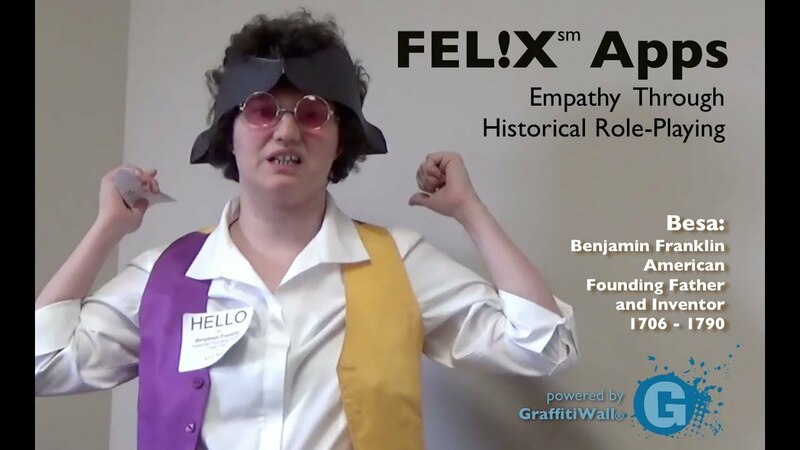 One of the largest Chinese Internet / gaming companies bought this portfolio, as they were expanding business in the U.S.
GraffitiWall® recently introduced FEL!X, a software program that uses historical roleplaying to teach important social skills like empathy, cultural sensitivity, decision making, and the ability to read social cues. For these reasons, FEL!X has the potential to be useful in many areas, like mental health, education, and human resources. FEL!X comes preloaded with templates, allowing one to easily and continually create immersive role-playing activities. The first version of FEL!X is aimed at helping people who have autism spectrum disorder, since it’s been shown that autistic individuals often benefit from roleplaying everyday situations. FEL!X encourages users to step out of their everyday lives and into the shoes of historical and literary figures, so it gives them a chance to confront a variety of challenging obstacles, as well as share their experiences more honestly and safely. At the same time, FEL!X lets therapists who are working with the program guide their patients more effectively. FEL!X engages its users through a variety of tools that include video selfies and chat rooms. It also lets users become avatars of historical characters like Cleopatra, Benjamin Franklin and Mother Jones. Because the software tracks the behavior of its users, as well as physiological factors like heartbeats, it can be used by healthcare providers to better understand how their patients are progressing or digressing. FEL!X has already been introduced to patients who are on the autism spectrum at the Mountain Crest Behavioral Healthcare Center. While results are early, they’ve already shown that patients who use FEL!X have greater rapport with their therapists and caregivers. In the United States, some 3.5 million people now live with some form of autism. For many, autism makes it difficult to correctly interpret facial expressions and emotions, as well as show empathy, and that often causes them to be ostracized and bullied. FEL!X helps patients build socially acceptable behaviors like these, so that with practice, they become more routine. The software is now designed to be used with mobile devices, laptops, desktops, and wearables like the Apple watch. While the first version of FEL!X helps patients understand and respond to social cues, later versions will address topics like dealing with bullying, cyber privacy, and LGBTQ issues. In addition, FEL!X has widespread applications for education, human resources, and cultural sensitivity. The FEL!X Team is currently working with historians and tech leaders, such as Andy Mink of the National Humanities Center, to engage students in building historical empathy through dramatic role-playing. FEL!X was developed by Linda Gottfried, the founder and creative director at GraffitiWall. Joseph Gottfried, MD, a child and adolescent psychiatrist at the Mountain Crest center, joined the FEL!X team because he recognized the program’s potential to help his patients, like those who have Asperger’s syndrome, a form of autism. Dr. Gottfried subsequently formed an advisory team for FEL!X that is now made up of patients, medical staff, and business leaders. 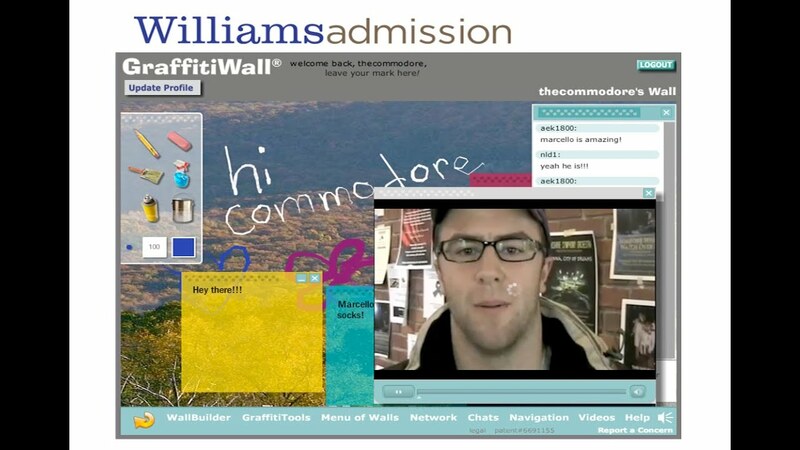 The GraffitiWall platform (www.graffitiwall.com) provides a design rich, online environment that engages audiences alongside full social networking capabilities that allow Brands to build and own their Brand-saturated online community. With GraffitiWall, any Brand can have a low cost expansion into homes or offices of their audiences. GraffitiWall clients include AMC Networks, Dr. Seuss, JetBlue, Children’s Museum of Manhattan, Williams College, Amherst College, and New York University Hospitals. Visitors essentially could step inside Elizabeth Murray’s iconic painting, "Plan 9," where her vibrant abstract rendering of a table setting in which the utensils seem to bend and melt like Salvador Dalí's timepieces. In addition to the painting, the space featured large cutouts of its elements. Families used computers to make their own Murray Masterpiece, by rearranging her vocabulary of visual elements, and her color palette. The touch screen system gave children the ability to elongate and stretch shapes with their fingers and add colorful brushstrokes; as they worked, their paintings in progress appeared on a large video screen. In CMOM’s classroom, students could print out their masterpieces. The Elizabeth Murray simulator was so popular that it was moved permanently to another floor when the Art Inside Out exhibition was taken down for a new exhibit. Virtual manipulation of three different communication devices from the late 19th century added an interesting highlight to this exhibit. Each of the three venues highlighted an artifact within eyeshot of its corresponding interactive environment. For example, an actual telegraph key appeared in a case adjacent to a replica telegraph office at the history museum. A Ute musical instrument called a morache was situated next to the Ute Indian immersive environment at the library, and Albert Bierstadt’s grand Land’s Peak painting was within view of a replica of Bierstadt’s studio complete with virtual painting tools at the art museum. Each interactive environment consisted of an activity where museum visitors could virtually use the selected artifact as if they were transported back in time to the apropos location and situation. For example, at the history museum, visitors sat in the mini telegraphic office to become an 1870’s telegraph operator. First visitors see a vintage film clip showing lighting striking and destroying the train trestle wrapped around a cliff. It’s up to the visitor to send the correct railroad morse code, to warn an approaching train to prevent impending disaster. If the user sent the wrong message, the train crashed magnificently into an abyss, but if the user sent the correct message, the train screeched to a halt just in time, and the user was rewarded with a congratulatory letter from President Grover Cleveland. The zoo’s objective: learn how we as primates are similar physically and behaviorally to other primates. Using video and still video capture devices Primate Panorama invited zoo visitors to simulate getting into the skin of gibbons, gorillas, orangutans, and chimpanzee. To further reinforce this point, visitors sat fully surrounded by primates including the orangutan habitat, protected by glass walls. Situated in the museum’s Hudson River School section, which included Bierstadt paintings, visitors could collect sketches “onsite,” just as Bierstadt did, and then compose their own masterpieces in Bierstadt’s studio. Visitors collected points and experiences as they explored whimsical Seussian worlds via a hot air balloon. Though there were three walk-in balloons to accommodate three players at a time, and the “race” was projected on wall-sized monitors, the object wasn’t to beat others to the end point, but rather to discover and meet a range of Seussian characters and share experiences with them. To encourage a slower pace, visitors could miss fun and interesting surprises if they flew too fast. GraffitiWall LLC is an interactive agency featuring its own product GraffitiWall®, a toolkit to build immersive experiences where fans can role-play & personalize YOUR message using mobile devices, laptops, and public space setups. We have a proven track record of fan engagement where fans interact with each other and you in real time. • Build customizable virtual environments to immerse fans in new and exciting worlds. • Invite fans to chat and socially share from any location, on any device. • Communicate with your audience. • Track conversations and media usage from multiple touch points. GraffitiWall presents brand saturated entertainment environments that fully reflect your message and story in the form of multiplayer games, mobile apps, online activities, and walk-in environments. GraffitiWall comes preloaded with avatars, environments, videos, sound effects and conversations that reflect the tone of your show or initiaitve. Fans can select from a range of characters to walk into the environment, and using the multimedia creation and sharing tools, personalize YOUR story and call it their own. Plugging in interactive activities is easy and they invite fans to further participate with you as well as engage with others. Participation is tracked along with conversations, keywords, media usage and maniputation, thereby giving you invaluable insights into what resonates with your audience. "This book hits the sweet spot where commerce and creativity intersect, with great insight." Featuring a dazzling collection of color masterpieces, Artful Business gives you novel tools to spark your imagination. You can turn to any page at random if you are struggling to find creative solutions. Here you will discover that Michelangelo and a modern marketing executive, or Botticelli and a brand manager, have a lot in common. In each chapter you will see sumptuous art and stimulating ideas on facing pages, with probing questions to help you see in a way that will yield new perspectives on strategy or messaging. Celebrate July 4th early by using GraffitiWall’s new app, AvatarMaker~Liberty~1776 to embed your “selfie” into an image of your favorite Founding Father or Mother. Then share your thoughts with others on the meaning of freedom at GraffitiWall’s Liberty4All page (www.graffitiwall.com/Liberty). The development of the free iPhone and iPad app AvatarMaker~LIBERTY~1776 (https://itunes.apple.com/us/app/avatarmaker-liberty-1776/id861360161?mt=8) follows on the heels of GraffitiWall’s extremely successful collaboration with the AMC/Sundance Channel Global. This collaboration developed a Breaking Bad GraffitiWall, through which fans could select from a cast of Breaking Bad avatars to role play within virtual representations of the show's locations before, during and after the show aired. This created a show within a show. Not only did the Breaking Bad GraffitiWall initiative encourage tune in, but, by the end of its run, the Breaking Bad GraffitiWall had more members than AMC/Sundance Channel Global's fan base on Twitter, and more members than it had viewers of this Emmy Award Winning show. To Linda Gottfried, Chief Creative Officer of GraffitiWall, "The goal of this 4th of July initiative is to both introduce users to champions of Liberty and then invite them to tell their personal stories.” To start the process, users can get in character by becoming one of the Founding Moms and Dads using the AvatarMaker~Liberty~1776 app. For example, users can insert their selfies into the portraits of, say, Martha Washington or Thomas Jefferson. Then, decked out in a powdered wig, users can step back to 1776, via the Liberty4All GraffitiWall to interact with American champions of freedom. As they continue down the path, they will meet others who have fought for various types of liberty into the current day. We look forward to collecting and incorporating user experiences based on the struggles for economic, gender-base, social, and political liberties, among others, as their stories of personal challenges run beside the heroes of the past." The app is the latest innovation by GraffitiWall LLC, a leader in interactive. The GraffitiWall platform (www.graffitiwall.com) provides a design rich, online environment that engages audiencesalongside full social networking capabilities that allow Brands to build and own their Brand-saturated online community. With GraffitiWall, any Brand can have a low cost expansion into the homes or offices of their audiences. GraffitiWall clients include AMC Networks, Dr. Seuss, JetBlue, Children’s Museum of Manhattan, Williams College, Amherst College, and New York University Hospitals. Where do you want your image to appear? means you must provide this information. Otherwise, enter as much or as little information as you want.
. This means that you want other people to see this information. PLEASE NOTE: Username and country will always be visible. Keep your score visible so others can see your ranking and point total. The top 5 users will be posted on the mini-Scoreboard in the upper left corner of the Wall. The points system is entirely voluntary and solely for amusement. If you don't want to participate, click the green dot to red, which is the off position. If you don't select a gif, or jpg as an Avatar Image, the generic image will appear as your Avatar moves on the walls. You can come back and change these images as often as you like. What topics interest you? Check as many as you'd like. What are your favorite websites? Enter them below. Do you want visitors to be able to post to Graffiti and/or Media on your GraffitiWall®? Color, Light & Shadow, Inc and its sponsors (the "Companies") and GraffitiWall® ("GraffitiWall®") provide an online social networking service (the "Service") that allows you and other authorized users who have signed up to use the Service (collectively, "Members") to communicate with the Companies about the Companies' products and services. These Rules of Participation is an agreement (the "Agreement") between you and the Companies governing your access to and use of the Service, which includes any software related to the Service (the "Software"). The Service is offered to you conditioned upon your acceptance, without modification, of this Agreement. Your use of the Service constitutes your acceptance of this Agreement. IF YOU DO NOT AGREE TO THE TERMS OF THIS AGREEMENT, YOU MAY NOT USE OR ACCESS THE SERVICE. You represent that you have attained the age of majority in the province, state or country in which you reside, and that any information that you submit is correct. Companies reserve the right to change the terms, conditions, and notices under which it offers the Service at any time and without notice, and such modifications will be deemed effective immediately upon posting of the modified terms. You are responsible for regularly reviewing this Agreement and any changes made to this Agreement. You can review the most current version of this Agreement at any time at: http://www.graffitiwall.com. If you do not agree to any terms of this Agreement, or any future changes made by Companies, your sole and exclusive remedy is to stop using the Service. Unless explicitly stated otherwise, any new features or products that change, augment or enhance the current Service will be subject to this Agreement. Your right to use the Service and the Software is personal to you only. Companies reserves the right, at any time, in its sole and absolute discretion, to modify, or discontinue, temporarily or permanently, the Service (or any part thereof) with or without notice. Companies reserve the right to cancel, suspend or refuse access to the Service to anyone in its sole and absolute discretion. You will not use the Service or the Software, in whole or in part, for any purpose that is unlawful or prohibited by this Agreement or for any commercial purpose. You agree not to modify, rent, lease, loan, reproduce, duplicate, copy, sell, distribute, otherwise exploit, or create derivative works based on the Service or the Software, in whole or in part, or any Content (as defined below) contained therein. To become a Member of the Service, you must provide specific registration information, including your e-mail address, phone number, and physical address, and create a user profile that includes your personal preferences. Companies will use your e-mail address to send you reminders of upcoming activities and sessions on the Service. As part of the registration process, you will select a user name and password for your account ("Account"). You may not (a) select or use a user name of another person with the intent to impersonate that person; (b) use a name subject to the rights of any other person without authorization; or (c) use a user name that Companies, in its sole discretion, deems inappropriate or offensive. You agree to (d) provide true, accurate, current and complete information as prompted by the Service's registration process (collectively, the "Registration Data") and (e) maintain and promptly update the Registration Data to keep it true, accurate, current and complete. You will maintain a valid email address at all times. You are solely responsible for maintaining the confidentiality of your user name, password and Account and for any and all use of your Account by you or any people using the Service under your user name and password. You agree to immediately notify Companies of any unauthorized use of your Account or any other breach of security. Companies will not be liable for any loss or damage arising from your failure to comply with this Section 4. This Agreement, and any posted revisions to this Agreement, shall remain in full force and effect while you are a Member on the Service. You may terminate your membership at any time, for any reason. You understand and agree that the termination of your membership is your sole right and remedy with respect to any dispute with Companies or GraffitiWall®. Companies may terminate or suspend your membership at any time, for any or no reason, with or without prior notice or explanation, and without liability. Even after a membership is terminated, this entire Agreement will remain in effect. 7.1 All information, data, text, software, music, sound, photographs, graphics, video, messages, goods, products, services or other materials (collectively, "Content") posted by Authorized Users on the Service (collectively, "Member Content") are the sole responsibility of the Authorized User from whom such Member Content originated. This means that you, and not Companies, are entirely responsible for all Member Content that you upload, post, transmit or otherwise make available on the Service, including personally identifying information. When you post Member Content on the Service, your user name will be visible to other Members and attached to the Member Content that you posted. Please be aware that if you post personal information online that is accessible to other Members, you may receive unsolicited messages from such Members. Companies does not control the Member Content posted by you or other Members on the Service and, as such, does not guarantee the accuracy, integrity or quality of such Member Content. By using the Service, you may be exposed to Member Content that is offensive, indecent or objectionable. Under no circumstances will Companies be liable in any way for any Member Content, including, but not limited to, for any errors or omissions in any Member Content, or for any loss or damage of any kind incurred as a result of the use of any Member Content posted, transmitted or otherwise made available on the Service. You agree that you must evaluate, and bear all risks associated with, the use of any Member Content, including any reliance on the accuracy, completeness, or usefulness of such Member Content. In addition, except as provided in this Agreement, you may not copy, modify, translate, reproduce, publish, broadcast, transmit, distribute, perform, display, license, sell, or create derivative works from any Member Content or any other content appearing on or through the Service. 7.2 Companies reserves the right (without the obligation) to monitor, pre-screen, reject, remove, or edit any Member Content for any reason in its sole discretion and without notice. Companies assume no responsibility for monitoring the Service for inappropriate Member Content or conduct. If at any time Companies choose, in its sole discretion, to monitor the Service, Companies nonetheless assumes no responsibility for the Member Content, no obligation to modify or remove any inappropriate Member Content, and no responsibility for the conduct of any Member submitting Member Content. 18. contains software viruses, worms, spyware, or any other computer code, files or programs designed to interrupt, destroy or limit the functionality of any computer software or hardware, or otherwise permit the unauthorized use of or access to a computer or a computer network. Companies reserve the right to investigate and take appropriate legal action against anyone who, in Companies' sole discretion, violates this Section 6.4, including without limitation, removing the offending Member Content from the Service and terminating or suspending a Member's right to use the Service. 16. attempt to decompile, reverse engineer, disassemble, modify, hack, or create derivative works from the Service or the Software, or defeat or overcome any encryption and/or digital rights management technology implemented with respect to the Service or the Software. Companies reserve the right to investigate and take appropriate legal action against anyone who, in Companies' sole discretion, violates this Section 7, including without limitation, reporting a Member to law enforcement authorities and terminating or suspending a Member's right to use the Service. The Service contains information, data, text, software, music, sound, photographs, graphics, video, messages, advertising, links to web sites, or other materials (collectively, "Service Content") provided by Companies, GraffitiWall®, or third-parties (collectively, "Content Suppliers"). Neither Companies, nor GraffitiWall®, is responsible or liable, directly or indirectly, for any Service Content or for any damage or loss caused or alleged to be caused by or in connection with use of or reliance on any such Service Content. Companies are under no obligation to pre-screen Service Content. 10.1 You represent, warrant, and promise that (a) you own the Member Content posted by you on the Service and (b) your posting or transmitting of Member Content on or through the Service does not, and will not, infringe, violate or misappropriate the privacy rights, publicity rights, copyrights, trademark rights, patent rights, trade secret rights, contract rights or any other rights of any person or entity. 10.2 You hereby grant, exclusively to Companies, all rights of any kind in and to any Member Content posted or transmitted by you on or through the Service, including, without limitation, (a) all rights of contract, copyright, trademark, trade dress and all other rights, throughout the world; (b) the right to modify, publish, prepare derivative works from, and publicly display the Member Content, alone or as part of any other work, in any form, media, or technology, whether now known or hereafter developed; and (c) the exclusive right to license or otherwise transfer any or all such rights to any other party. All Member Content belongs solely to the Companies. However, to the extent, if any, that any Member Content is not assignable, you automatically grant, and represent and warrant that you have the right to grant, to Companies a worldwide, royalty-free, irrevocable, perpetual, fully-sub-licensable, and non-exclusive right and license to use, host, reproduce, modify, adapt, publish, edit, translate, distribute, perform, combine with information provided by third-parties, create derivative work of and display such Member Content alone, or as a part of other works, in any form, media, or technology, whether now known or hereafter developed. Any such Member Content may be used by Companies or licensed to others by Companies for any purpose, including, without limitation, for reproduction, disclosure, transmission, publication, broadcast and posting. No compensation will be paid or due you with respect to Companies' or its sub-licensees' use of the Member Content pursuant to this Section 10. As between Companies and you, all right, title and interest in and to the Service and any Content delivered in connection with the Service (including any intellectual property rights to the Service and the Content) will remain the sole property of Companies. You hereby agree to indemnify, defend and hold harmless Companies and GraffitiWall®, and each of their respective suppliers (including Content suppliers), shareholders, parents, subsidiaries, affiliates, officers, directors, employees, agents and advisors, from and against any and all losses, liabilities, claims (including claims without legal merit or brought in bad faith), demands, damages, costs or expenses, causes of action, suits, proceedings, judgments, awards, executions and liens, including reasonable attorneys' fees and costs (whether brought by third parties or otherwise) relating to or arising out of (a) your use of the Service (including, without limitation, the Software); (b) your breach of any representations, warranties or covenants in this Agreement; (c) any Member Content posted or transmitted by you on or through the Service; (d) your acts and omissions; and (e) your negligence, intentional misconduct or violation or alleged violation of any rights of a third-party. Companies reserve the right, at its own expense, to assume the exclusive defense and control of any matter otherwise subject to indemnification by you hereunder, and in such event, you will have no further obligation to provide indemnification for such matter; provided, however, that you will use best efforts to cooperate with Companies in such defense. To the fullest extent permitted by law, the foregoing indemnity will apply regardless of any fault, negligence, or breach of warranty or contract of Companies or GraffitiWall® or any of their respective suppliers (including Content suppliers), affiliates, partners, subsidiaries and employees. If you believe that your work has been copied and posted on the Service in a way that constitutes copyright infringement, or your intellectual property rights have been otherwise violated, please send Companies' Copyright Agent a notification of claimed infringement with all of the following information: (a) identification of the copyrighted work claimed to have been infringed, or, if multiple copyrighted works are covered by a single notification, a representative list of such works; (b) identification of the claimed infringing material and information reasonably sufficient to permit us to locate the material on the Service (providing the URL(s) of the claimed infringing material satisfies this requirement); (c) information reasonably sufficient to permit us to contact you, such as an address, telephone number, and, if available, an email address; (d) a statement by you that you have a good faith belief that the disputed use is not authorized by the copyright owner, its agent, or the law; (e) a statement by you, made under penalty of perjury, that the above information in your notification is accurate and that you are the copyright owner or authorized to act on the copyright owner's behalf; and (f) your physical or electronic signature. Companies' Copyright Agent for notification of claimed infringement can be reached as follows: Ernest D. Buff & Associates, 231 Somerville Rd, Bedminster, NJ 07921; Phone: 908-901-0220; Facsimile: 908-901-0330; Attn: Copyright Agent. General Counsel. YOUR USE OF THE SERVICE IS AT YOUR SOLE RISK. COMPANIES, GRAFFITIWALL® AND THEIR RESPECTIVE SUPPLIERS (INCLUDING CONTENT SUPPLIERS) PROVIDE THE SERVICE, INCLUDING ALL CONTENT, SOFTWARE, FUNCTIONS, MATERIALS AND INFORMATION MADE AVAILABLE ON OR ACCESSED FROM OR THROUGH THE SERVICE, "AS IS" AND WITHOUT ANY WARRANTY OR CONDITION OF ANY KIND, EXPRESS OR IMPLIED, INCLUDING, BUT NOT LIMITED TO, THE IMPLIED WARRANTY OF MERCHANTABILITY, FITNESS FOR A PARTICULAR PURPOSE, TITLE AND NON-INFRINGEMENT. COMPANIES, GRAFFITIWALL®, AND THEIR RESPECTIVE SUPPLIERS (INCLUDING CONTENT SUPPLIERS) MAKE NO WARRANTY THAT (i) THE SERVICE WILL MEET YOUR REQUIREMENTS, (ii) THE SERVICE WILL BE UNINTERRUPTED, TIMELY, SECURE, ERROR-FREE, AND FREE FROM VIRUSES OR OTHER HARMFUL COMPONENTS, AND (iii) THE QUALITY OF ANY PRODUCTS, SERVICES, INFORMATION OR OTHER MATERIAL OBTAINED BY YOU THROUGH THE SERVICE WILL MEET YOUR EXPECTATIONS. ANY MATERIAL DOWNLOADED OR OTHERWISE OBTAINED THROUGH THE USE OF THE SERVICE IS DONE AT YOUR OWN DISCRETION AND RISK, AND YOU WILL BE SOLELY RESPONSIBLE FOR ANY DAMAGE TO YOUR COMPUTER SYSTEM OR LOSS OF DATA THAT RESULTS FROM THE DOWNLOAD OF ANY SUCH MATERIAL. IN NO EVENT WILL COMPANIES, GRAFFITIWALL®, OR ANY OF THEIR RESPECTIVE SUPPLIERS (INCLUDING CONTENT SUPPLIERS) BE LIABLE TO YOU OR ANY THIRD-PARTY FOR ANY DIRECT, INDIRECT, EXEMPLARY, PUNITIVE, SPECIAL, INCIDENTAL OR CONSEQUENTIAL DAMAGES WHATSOEVER, INCLUDING, WITHOUT LIMITATION, DAMAGES FOR LOSS OF USE, DATA OR PROFITS, ARISING OUT OF OR IN CONNECTION WITH THE SERVICE OR THIS AGREEMENT, EVEN IF COMPANIES, GRAFFITIWALL® OR ANY OF THEIR RESPECTIVE SUPPLIERS (INCLUDING CONTENT SUPPLIERS) HAS BEEN ADVISED OF THE POSSIBILITY OF SUCH DAMAGES,. IN NO EVENT WILL COMPANIES'S OR GRAFFITIWALL®'S AGGREGATE LIABILITY TO YOU OR ANY THIRD-PARTY ARISING FROM OR RELATING TO THE SERVICE OR THIS AGREEMENT EXCEED $500.00. SOME STATES DO NOT ALLOW CERTAIN LIMITATIONS OF LIABILITY SO SOME OF THE ABOVE LIMITATIONS OF LIABILITY MAY NOT APPLY TO YOU. YOU ACKNOWLEDGE THAT YOU HAVE READ THIS AGREEMENT AND THAT YOU AGREE TO ALL ITS TERMS AND CONDITIONS. YOU HAVE INDEPENDENTLY EVALUATED ALL ASPECTS OF THIS AGREEMENT AND THE DESIRABILITY OF ENTERING INTO THE TRANSACTIONS CONTEMPLATED IN THIS AGREEMENT AND IS NOT RELYING ON ANY REPRESENTATION, GUARANTEE OR STATEMENT OTHER THAN THOSE EXPRESSLY SET FORTH IN THIS AGREEMENT. Statements, notices and other communications to you may be made by mail, email, postings within your Account or on the Service, or other reasonable means. You will be solely responsible for keeping your email and postal addresses updated on your Account. Companies will not be responsible for any undelivered notices caused by your failure to update such information. This Agreement will be governed by, construed and enforced in accordance with the laws of the State New Jersey, without regard to its conflicts of law principles. You will bring any action to enforce this Agreement or in connection with any matters related to the Service only in either the state or Federal courts located in New Jersey. You expressly consent to the exclusive jurisdiction of said courts and waive all venue, jurisdiction and choice of law challenges or defenses. Use of the Service is unauthorized in any jurisdiction that does not give effect to all provisions of this Agreement, including without limitation this Section. EACH OF THE PARTIES HEREBY KNOWINGLY, VOLUNTARILY AND INTENTIONALLY WAIVES ANY RIGHT IT MAY HAVE TO A TRIAL BY JURY IN RESPECT OF ANY LITIGATION (INCLUDING BUT NOT LIMITED TO ANY CLAIMS, COUNTERCLAIMS, CROSS-CLAIMS, OR THIRD PARTY CLAIMS) ARISING OUT OF, UNDER OR IN CONNECTION WITH THIS AGREEMENT. FURTHER, EACH PARTY HERETO CERTIFIES THAT NO REPRESENTATIVE OR AGENT OF EITHER PARTY HAS REPRESENTED, EXPRESSLY OR OTHERWISE, THAT SUCH PARTY WOULD NOT IN THE EVENT OF SUCH LITIGATION, SEEK TO ENFORCE THIS WAIVER OF RIGHT TO JURY TRIAL PROVISION. EACH OF THE PARTIES ACKNOWLEDGES THAT THIS SECTION IS A MATERIAL INDUCEMENT FOR THE OTHER PARTY ENTERING INTO THIS AGREEMENT. If any part of this Agreement is determined to be invalid or unenforceable pursuant to applicable law, then the invalid or unenforceable provision will be deemed superseded by a valid, enforceable provision that most closely matches the intent of the original provision and the remainder of this Agreement will continue in effect. A printed version of this Agreement and any notice given in electronic form will be admissible in judicial or administrative proceedings based upon or relating to this Agreement to the same extent and subject to the same conditions as other business documents and records originally generated and maintained in printed form. Companies may assign this Agreement, in whole or in part, at any time with or without notice to you. You will not assign this Agreement, by operation of law or otherwise, without prior written approval of Companies, and any such attempted assignment will be void. Subject to the foregoing, this Agreement will be binding upon and inure to the benefits of the parties hereto, their successors and permitted assigns. The failure of Companies to exercise or enforce any right or provision of this Agreement shall not operate as a waiver of such right or provision. This Agreement sets forth the entire understanding and agreement between Companies and you with respect to the Service, and it supersedes all prior or contemporaneous communications and proposals, whether electronic, oral or written, between you and Companies with respect to the Service. The section titles in the Agreement are solely used for the convenience of the parties and have no legal or contractual significance. Each party is an independent contractor and not an agent or representative of any other party. No party will have any right or authority to create any obligation or make any representation or warranty in the name or on behalf of any other party. This Agreement will not be interpreted or construed to create an association, joint venture or partnership between the parties or to impose any partnership obligation or liability upon any party. The parties acknowledge and agree that this Agreement may be entered into electronically, and without the necessity of written signatures. Please contact us at Ernest D. Buff & Associates, 231 Somerville Rd, Bedminster, NJ 07921; Phone: 908-901-0220 with any questions regarding this Agreement. Want to add more copy? or if you just want to save your NotePad type its name below? to play is the thing! 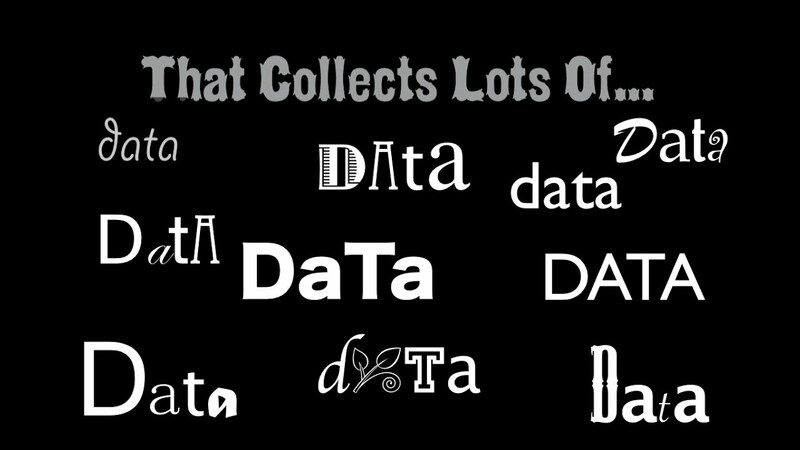 I would be interested in learning how you go about implementing emergent literacy? I've read about what it is but see very little on how you put it in action. Any thoughts would be appreciated! Didn't know much about Emergent Literacy but I did some research. Sounds very interesting and super important. I think this site is trying to incorporate those aspects. Have you seen their education site? http://www.graffitiwall.com/Liberty/educationstation/ Think this could be great for kids. I would love to learn more about this topic.